Beauty repeat buys and link up | Is This Mutton? The most useful beauty product reviews are not the posts which tell us about glossy new products but those which tell us about the items that we buy on repeat. These are the products which are reliable and do what they say on the packaging. One of the items in the picture above - Look Fabulous Forever Hydration Hold Face Serum - was gifted to me, but I'm now buying a second bottle. I use more than the one or two drops recommended by LFF founder Trish Cusden, but my skin is as dehydrated as the Sahara in winter. This serum provides a welcome boost of hydration, helping to make skin look smooth and plump. I have tried many products for crepey neck problems, but Prai Ageless Throat and Decolletage Creme is definitely the best one on the market, and reasonably priced. Make sure you're sparing with it: if you use too much, it tends to pill. But they do warn about this. And it makes the product last much longer! 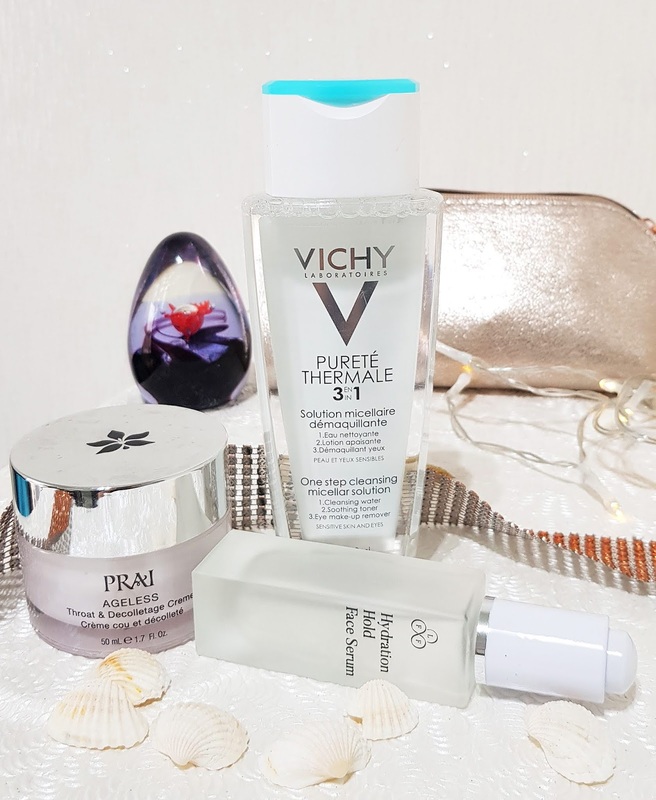 Vichy's Pureté Thermale 3:1 micellar solution is an ideal cleansing solution for all types of makeup, including water proof mascaras. 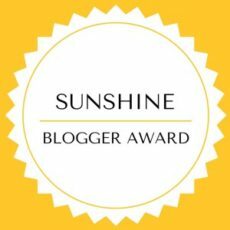 I use it at night and in the morning cleanse again with Emma Hardie's Moringa Cleansing Balm. My lips also get very dry in winter. I try to be sparing with lip balms because your lips feel even worse when it's worn off and you have to keep applying them. 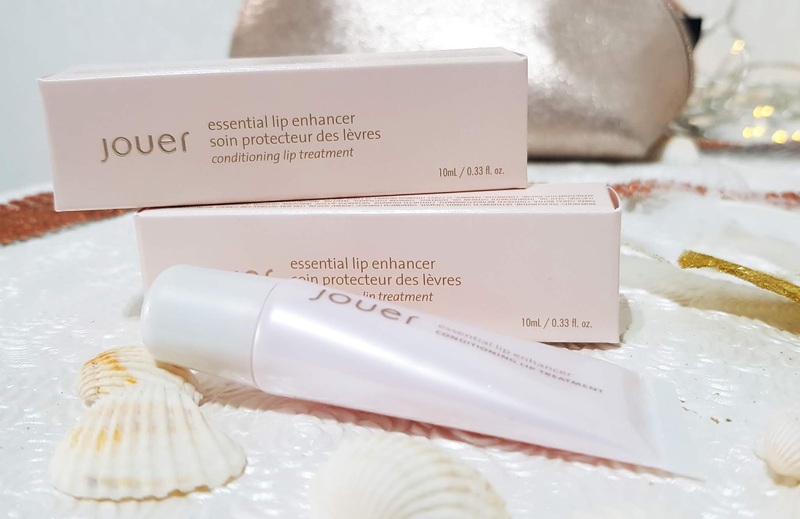 One product I wouldn't be without is French brand Jouer's Lip Enhancer. This provides a smooth slick of a glossy balm that takes years off your lips! The fine lines disappear and your kisser feels so comfortable. I buy it for £12 a tube (in bulk!) at Beauty Bay I've finally found an eye cream that I like enough to buy again: StriVectin R&R Eye Cream. My first pot was gifted, the second pot I bought myself. It's very hydrating, blurs lines a little, and provides a good base for eye make-up. Finally two hair repeats. 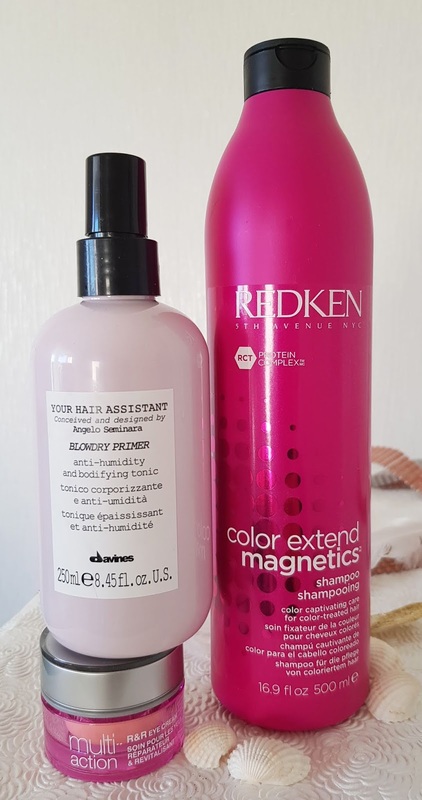 I've just bought a huge bottle of Redken's Colour Extend Magnetic shampoo, which I've been using for more than a year, but I'm going to start trying shampoo soaps because I'm keen to stop using plastic. I'll be writing about my quest to cut down on plastic in beauty purchases. It's tough because all the products featured today, except the LFF serum, are in plastic bottles. Some brands have recycling schemes (LFF among them) but it's too much of a faff to have to send empties in the post. We should be offered glass alternatives, in my view. The other hair product I love - also in a plastic container - is Davines's Your Hair Assistant blow dry primer. This provides volume and hold, and I wouldn't be without it. 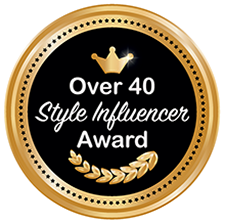 Two products were gifted - Look Fabulous Forever Hydration Hold face serum and StriVectin R&R eye cream - but copy approval was not sought and I always give an honest opinion. What are a couple of your beauty repeat buys? Do share in the comments below. Sharing this post with Not Dressed as Lamb. Who has the Most Wow last Wednesday? 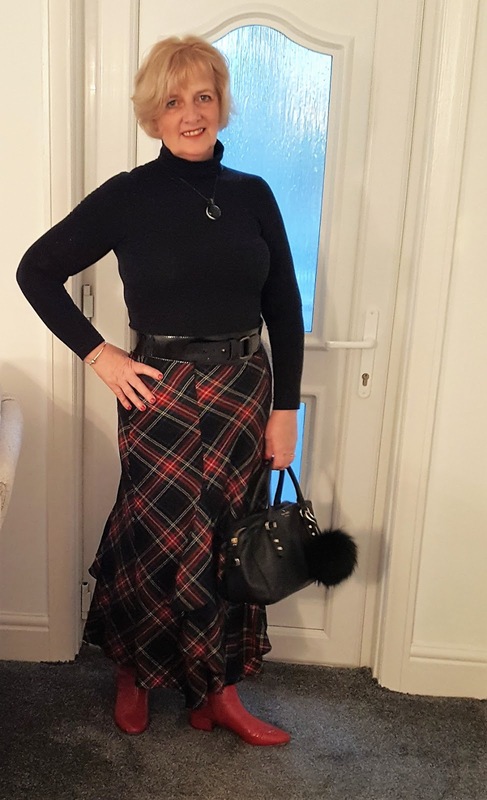 Burns Night at the Macintosh Home was your favourite post last week, courtesy of Jill at Stylish At Sixty. It was all going on - men in kilts, a gorgeous tartan skirt and traditional fare of Cullen Skink and haggis. My fav neck cream also is Prai. I've used it on and off but always come back to it as it makes a visible difference when it's on, on me .